By day nine (or Paste’s second day in town), Festival d’été de Québec had officially sold out. And on the main stage, a trio of ‘80s stars—Neil Finn formerly of Aussie rock band Crowded House, Bryan Ferry of English glam band Roxy Music, and new wave heroes Duran Duran (minus founding keyboardist Nick Rhodes who had to address a family emergency)—kicked it old school to celebrate. In between those sets, though, Paste ran downtown to check out acts at two of the club venues. 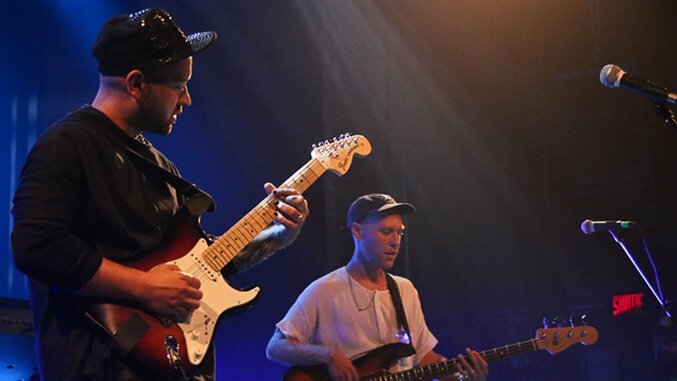 Portland-based Unknown Mortal Orchestra played the Impérial Bell while next door at The District Saint-Joseph, Rhode Islander-turned-Québécoise singer/songwriter Gabrielle Shonk performed more or less simultaneously. In extra-musical adventures, however, Festival d’été de Québec arranged for members of the press to experience the city by boat on Friday afternoon. The 90-minute cruise down the St. Lawrence River via Croisières AML offered stunning views of Montmorency Falls (which, fun fact, are taller than Niagara Falls! ), the castle-like Château Frontenac, and more. It was here aboard the Louis Jolliet that Festival d’été de Québec line-up booker Louis Bellavance tipped us off to Shonk’s show, newest song, and burgeoning career.